Springtime is here and that tends to mean one thing: ahead of the wedding season hitting its peak lots of couples are talking to their wedding photographer to arrange an engagement/pre-wedding shoot. 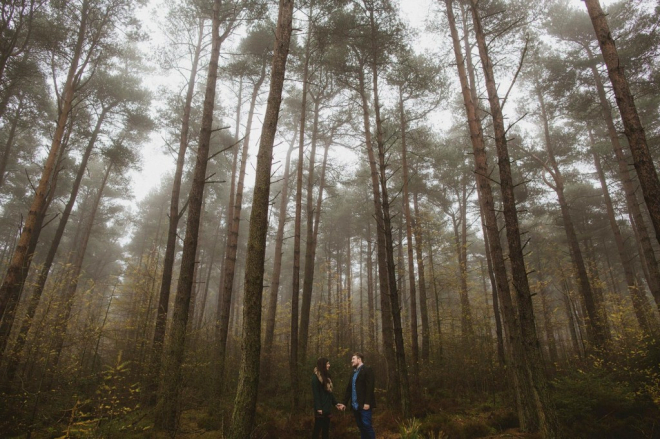 But when it comes to the engagement shoot there’s a key question that needs a little consideration: where should it take place? Many couples plan for their engagement shoot to take place at the same venue as the wedding is to take place and that’s certainly an understandable instinct. After all this is the place that’s soon going to play a huge part in your lives and having some photos there in your normal clothes might be really lovely. It’s a chance to try out some shots with your photographer and see what locations work best in preparation for the big day which is surely useful for the photographer too… or is it? The trouble is that what practicing the shots beforehand in the same location as the wedding means in reality is that you end up with two almost identical pictures except that one features you on your wedding day and so is bound to be more important to you. Your engagement is a really special time in your relationship and deserves to be marked with some great photos to remember it by. Using your engagement shoot as nothing more than a practice run is surely something of a waste. Great photography is not about recreating the tried and tested, it’s about feeling the moment and capturing the emotion in a way that feels right at that point in time with that particular lighting, with that particular look in your eyes. For many photographers knowing the shots in advance simply stifles creativity and takes away any spontaneity of the images. Once an image has been captured that idea is gone and in the past and it’s time to move onto discovering the next killer shot, and that’s hard to do if you’re having to attempt to recreate an idea you exhausted maybe months before the wedding in light that worked better at that time. So if not shooting at your wedding venue where should you choose? Well (depending on your photographer’s individual preferences) the choices are more or less unlimited. You might want to try a place that has a particularly special meaning to you, a place that you feel comfortable in and where you suit the environment, perhaps even the place where the proposal took place! This can really help to make you feel relaxed and give the photographs more meaning. On the other hand you might want to go on a little adventure and see what magic is created as you explore your environment. Taking a day out somewhere fun and exciting is bound to create some special memories and magic moments to photograph and in this way you can make it not just a cool photo-shoot but a genuinely special day in your relationship marked by some awesome photos. 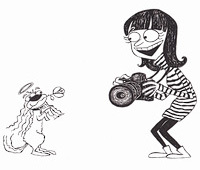 For the real photography lovers there’s also a fourth option: give the photographer free reign. Find a starting point that works for you all then go in search of the light following nothing but the photographer’s instincts. This can lead to some unbelievable shots but it’s also likely to be a very experimental day with lots of location changes and to make it work you need to be fully committed to the cause and willing to accept that it might involve a bit of waiting around and the chance that the photographer may just declare that a particular location isn’t working for them. Every photographer works differently and so it’s important to keep an open mind and discuss possible locations with your photographer. They might have a particular idea they want to try or you might have a place that’s really important to you that you want to have captured. There’s no right or wrong answer, the only important thing is that if you’re going to have a pre-wed shoot you make it count. Don’t make it nothing more than a rehearsal, make sure your engagement/pre-wedding shoot provides you with some photographs you can treasure every bit as much as the wedding photos themselves. Lily & Mark’s wedding looks just beautiful and the awesome couple’s emotion is written all over their faces from start to finish of this fast paced thrill-ride of a wedding trailer. Congratulations to the happy couple and thanks so much to Justyna from HD Moments for sending it our way. But enough from us, it’s time to sit back, stick the volume up, hit full screen and enjoy Lily & Mark’s gorgeous wedding day! There are many traditions that still often take place at even the most unorthodox of weddings but of all of them the one that seems to draw the most puzzled glances from both the guests and the Bride and Groom themselves is undoubtedly the cutting of the cake. So should the cake cutting still be considered one of the key moments of the wedding day or has it become simply unnecessary? Time to find out! Dom: The cutting of the cake is a tradition that goes back a long long way and whilst it’s great when couples make their day about their own ideas I think it’s nice to keep some of those traditional elements in place, even if you then put your own spin on them! Matt: The cutting of the cake tends to be something of an anti-climactic event. It’s builded as one of the key moments of the wedding day but when it comes around everyone always seems confused that there’s really nothing more to it than literally watching a cake have a knife shoved into it! Dom: The cutting of the cake generally signals the end of the formalities and the beginning of the “party” section of the evening, often directly before the first dance. It’s a great way to get everyone grouped together ready for the dance and start to get the excitement built up the party and can be really effective at getting the atmosphere going! Matt: But if the cutting of the cake and the first dance are in different rooms it can actually hold things up as everyone waits around for the cutting of the cake rather than drifting through naturally towards the dance floor. Dom: The cutting of the cake can be really fun! We’ve seen all kinds of cool ideas to make the cutting of the cake more of an event! One of our favourites was where the couple turned the cutting of the cake into bake-off competition with each of the guests bringing a different style of cake and the best cake being the one that has the honour of being cut by the bride and groom! Some couples even inject a little humour by using chainsaws and chisels to cut the cake! Matt: Is it really necessary to have a cake at all? They can be hugely expensive and rarely get eaten unless cut before dinner and served as dessert as by the evening buffet everyone’s more interested in any hot food on offer to go with their drinks than something sweet. Dom: The cutting of the cake photo is one of those images that each generation of your family will have their own version of and it’s lovely to see that family lineage preserved when looking through all the albums! Matt: But there are other similar photo opportunities like the group shots for that purpose whereas a shot of the couple on their own cutting the cake is rarely an exciting or particularly flattering one as all the guests will be taking flash photos at the same time as the photographer, often destroying the lighting conditions for the shot. So those are our thoughts but where do you stand? Will you be having a cutting of the cake at your wedding? Leave a comment to join the debate! Diamonds may be a girl’s best friend but sometimes it’s something a little different that has the true wow factor when it comes to the proposal. That’s why today we’re pleased to share this fab infographic from the guys at Gear Jewellers full of other amazing gemstone options with all kinds of special significance and amazing colours for the perfect engagement ring! So if you’re preparing for the big proposal make sure you’ve checked out all the options before choosing your perfect ring! Dom: Couples are always looking for something to make their wedding stand out and be completely unique and what could be more special than a moonlit ceremony beneath the stars? Matt: But if your ceremony isn’t taking place until after dark then you will have missed an entire day of celebrations! Your wedding is about the whole day, not just the ceremony! Dom: But why do the celebrations have to only take place after you are officially married? Why not throw out all of the conventions and do things completely uniquely by having pre-wedding celebrations throughout the day to build up the excitement to the ceremony itself? As long as you’re not too worried about the tradition of the bride and groom not seeing each other until the ceremony itself you could have an amazing first look in the morning then spend the day celebrating your impending nuptials and a party to continue the celebrations afterwards! Matt: But if you’ve been celebrating all day then by the time the ceremony comes around you and the guests are likely to be getting tired and potentially somewhat tipsy by the time the ceremony comes around which could take away rather from the beauty of the ceremony. Dom: There’s also the option that you could spread the wedding over two days with an evening ceremony on the first day and then the celebrations start the following day. That way you could make your wedding an even bigger occasion and spend the whole weekend with all of your guests and loved ones and enjoy the best of both worlds! Matt: Whilst the legalities on getting married at different times of day might now allow an evening ceremony, it might be very difficult to find someone to conduct the ceremony for you at such an unusual time of day as well as being more tricky to find other suppliers who are happy/able to work around such an unusual timing too. Dom: If you were struggling to find someone to conduct the legal ceremony at night you could always hold a Humanist ceremony in the evening and perhaps have a simple legal ceremony at the registry office earlier in the day. That way you could have a small ceremony for family and then a larger event for friends to join later on! Matt: Getting married by moonlight is a lovely idea but if cloud is blocking the moonlight then you’re going to lose a lot of the romance of the occasion and even with the moon shining brightly you’re going to need to find additional lighting which could be logistically complex and potentially expensive. It’s also likely to be very cold for the guests at night which might turn a lovely idea into something rather uncomfortable, particularly for young children or elderly guests. Dom: Lighting doesn’t have to be expensive – it would be amazing to light up the area with hundreds of candles or even have large flambeaux flames lighting up the aisle which would also give out a fair amount of heat! You could even have the ceremony take place in front of a bonfire for something truly dramatic and guests can easily be issued with blankets and even hot water bottles to keep them warm throughout the ceremony! You can also supplement the lighting with cheap battery powered LED lights to help make sure everyone can see the Bride and Groom fully. Matt: An outdoor wedding in the sunshine is just as beautiful (if not more so) as doing it at night and means you can truly enjoy the beauty of your surroundings that would otherwise be masked in darkness. When you imagine the birds singing during your ceremony the owl is not generally the bird I would choose! So those are our thoughts but where do you stand? Would you consider having your ceremony at night? We’d love to hear from you so just leave a comment to join the debate! For long term Bride Vs Groom readers you’ll notice a subtle change in today’s title: where once we proclaimed these hallowed pages to be the thoughts of a videographer, now you will find the thoughts of a filmmaker. But what has brought this change about? Lately I’ve been thinking a lot about the word Videography and what it actually means. So often when declaring my job title to be “videographer” I’m met with either a blank stare or occasionally (and perhaps a little more concerning) the question “have you just made that word up?” Whilst everyone fully understands what an ‘ographer is when it comes to photos it just doesn’t inspire the same response when you prefix it with the word video. 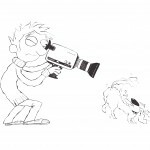 It’s not just an occasional lack of understanding as to what a videographer actually is though that poses a problem. 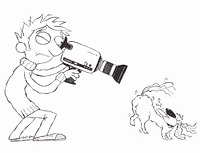 For many couples the words “wedding video” still brings to the imagination an image of a cameraman with a huge shoulder-mounted camera perhaps getting in the way whilst just filming the ceremony from start to finish before handing over an unedited tape of the occasion and heading on home. The art or technique of movie photography, including both the shooting and the processing of the image. But whilst the above definition appears to validate cinematographer as the correct word for the job there is one small problem; namely that when we hear the word cinema many of us would immediately jump to the idea of a carefully controlled, highly staged and pre-planned shot. Cinema is about great storytelling but usually in a very contrived form and for me that couldn’t be further from what making a wedding film is all about. Sure some will stage the odd shot and many will use all kinds of cinematic techniques and equipment to achieve them, but at the heart of it all is not a set of actors but a couple in love, and their story is being told right there in front of you, not in the mind of a director but in the little laughs and heartfelt emotion that make that wedding day as exciting, inspiring and completely unpredictable as it is. So for me it’s time to re-think how we look at this art-form that I so love. It’s time to set aside the videos of the past and embrace the films of the present and future. It’s time to stop drawing illusions of recreating Hollywood at a wedding and keep it simple. Above all it’s time we focussed on what’s really important: capturing in our films the incredible story of two people coming together to share the rest of their lives together. So if you’re wondering what exactly a wedding videographer or cinematographer actually does, we make wedding films. We make them in different styles with different equipment, different storytelling and different fancy words in our titles but at the end of the day we are all united under the term Wedding Filmmakers.